How Long Will The TRUE Performance 100 Last? With a strong build, True's Performance 100 is likely to hold up well to heavy jogging or light-moderate running. The walking belt, however, may need replacing sooner than the actual treadmill. Still, a walking belt is a quick and easy fix when compared to other components that could break. One thing to keep in mind when purchasing in this price range is the care that your treadmill receives. While we always recommend keeping your machine in an ideal environment, we also want to discuss the importance of the installation. If one were to put the treadmill together incorrectly, then the different parts are not likely to perform like they should and may even break down faster. Thus, whether you purchase from a True dealer or a stand-alone dealer, be sure to ask who will be assembling the treadmill. Are they a handy delivery driver or do they have experience with True treadmills? Taking care of your investment starts with the installation and could make the difference between a treadmill that lasts five to seven years and a treadmill that lasts more than fifteen. Often times, we catch treadmill brands with their hands in the cookie jar. When we see different models that are almost identical to one another with nearly a thousand-dollar price different, it's hard to ignore the trail of crumbs and chocolate smeared on the brands' faces. True has been caught in a similar scenario with the Performance 100. Though the build and warranty are still of decent quality, it is hard to ignore the fact that the Performance 100 and the Performance 300 are nearly indistinguishable. Still, there are some people in the market that have a set budget which makes the Performance 100 a good choice. With this, we have placed the Performance 100 in the Runner-Up slot for our $3,000 to $3,999-dollar 2019 Best Buys. Though True has a few cheaper models than this one, we usually regard the Performance 100 as their best basic model. This treadmill offers the True name but also contains a few cut corners that correspond with the lower price tag. For instance, we have repaired a number of walking belts on these models in the past and have found that the walking belt quality does not hold up well to heavy use. Though True has built a good machine, certain components like the belt do not match the overall quality. This is similar to buying a beautifully marbled thirty-two-ounce ribeye, grilling it to perfection, and then putting spray cheese one it. The lower quality of the belt almost devalues the other components of the treadmill. In regard to the pricing, one of the main differences between the Performance 100 and the Performance 300 (which is roughly six-hundred-dollars more) is the orthopedic belt and the straddle covers. Straddle covers are outside surfaces of the belt that are made to stand on while the belt is warming up or in case of a safety issue. The Performance 100 has plastic covers while the Performance 300 has metal covers. Other than the covers and the belts, the treadmills are basically identical. With the price difference, we do not like to see True cutting unnecessary corners in order to entice the consumer to spend a little more. We are not naïve and realize that there is such a thing as capitalism; still, cut corners do not create a good product. For the consumer's purposes, if you can find the Performance 300 on sale then it may be a better option as it has quality in each one of its parts that correspond with the quality build. Unfortunately, the Performance 100 does not. Even still, the Performance 100 does have a few redeeming qualities that make it a basic upper-end treadmill for those with a slightly more conservative budget. This treadmill does still have the sturdy, durable build that True is so well known for. Additionally, this is a True product which means their reputable service department is at your disposal. We conduct customer service polls every once in a while, and True has been the leading brand among our surveys for a number of years. The Performance 100’s warranty corresponds with this type of service. A five-year-parts and one-year labor warranty, while not the best in this price range, is still an added amount of value. 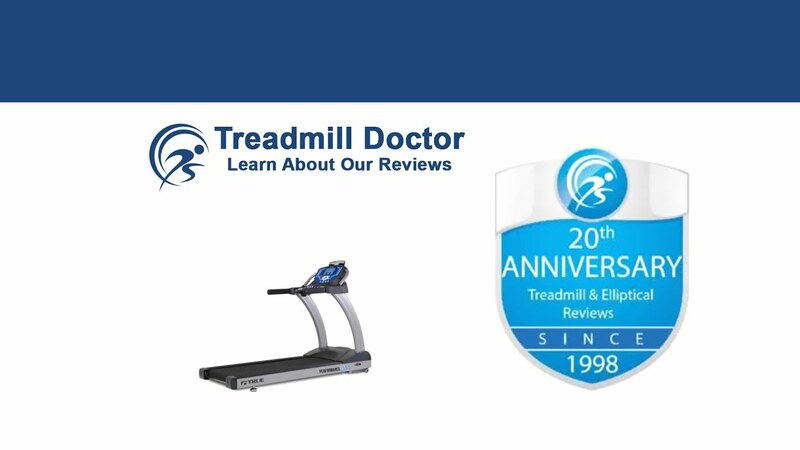 Over the years, we have ranked the True ps100 treadmill as a good entry level True model that is better than some of the cheaper True models. The Performance 100 has landed the Runner-Up spot a few different times as the True company name has helped add more value to the treadmill. While the Performance 100 has a good company backing and a sturdy build, we are not as pleased with the unbalanced quality between the different components. While the motor and frame are strong, the walking belt has been known to have a short life. Still, if you would like to purchase a True treadmill and have a set budget, then the Performance 100 is likely to withstand moderate to moderate-heavy use. While the Performance 100 is better than some treadmills, it is not the best that True can do for the price. Thus, we have given the Performance 100 the Runner-Up spot in our 2019 Best Buy race among the $3,000 to $3,999 dollar treadmills.